Upgrading your home can provide long term value for your family in the daily use and operation of your home. While your wardrobe may only last a season, most upgrades to your home can improve the enviornment, make your life a little easier, or just simplify the way you perform your everyday tasks. Whatever the upgrade, the dividends will likely pay off in a big way. We received a variety of samples and/or compensation in exchange for this post. All opinions are our own. We’re sharing some amazing products that can help you easily upgrade your home! Art can easily liven your rooms and add to your bedroom theme. There’s no better place to find art then at Minted. All of Minted’s art is sourced from their community of independent artists. They are vetted and voted on through design challenges to bring the best designs to the market. That means, you’ll have hundreds of curated, gorgeous designs to pick from. 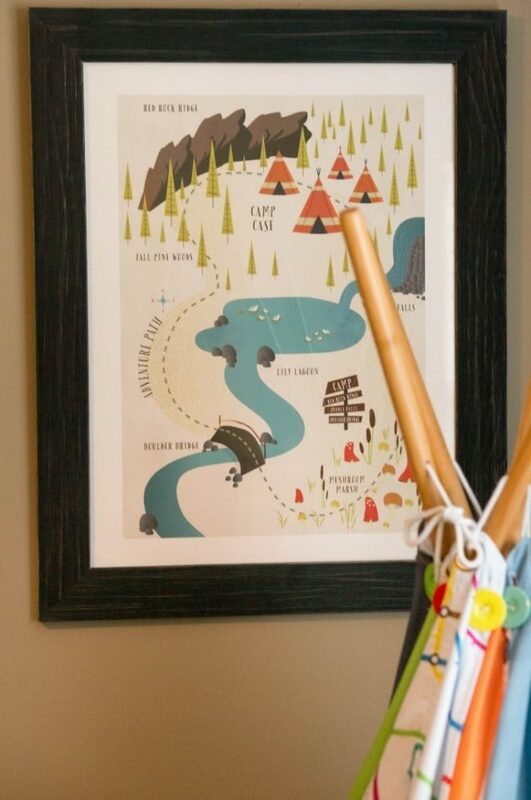 We’re decorating my boys shared room into an adventuring theme, and I loved this Adventure Map print that can be customized with your own names for each of the locations on the map. We also added this gorgeous Cactus-in-Bloom print that fits their color scheme perfectly and remind them of where they grew up, in Arizona. 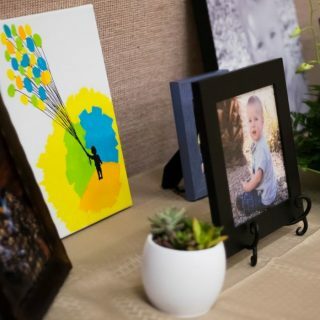 Visit minted.com to browse the entire collection of children’s art. There’s nothing like a handmade product that will give a soft, warm, look to your family space. Lorena Canals has a line of new products available now for pre-order. 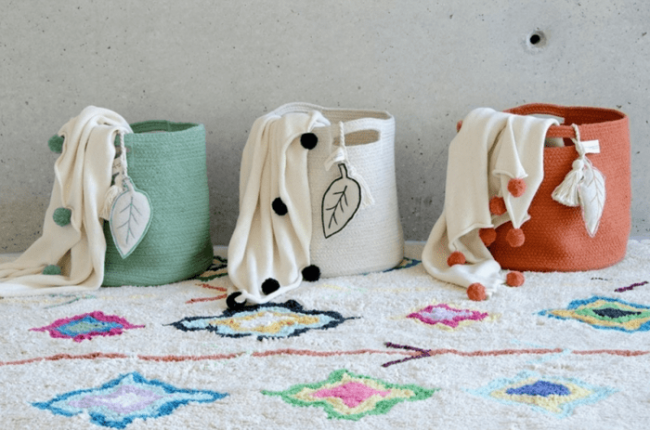 Like their new Basket Leaf handmade basket made out of natural cotton rope with natural dyes that can bring quality to your home. Add an Ombré baby blanket with the soft, subtle colors or a darling pom pom blanket to warm their space. Each of their products are unique with minor variations in color and shape and they’re all washable in your conventional washing machine for ease of care! Check out lorenacanals.us to see all the new release styles. 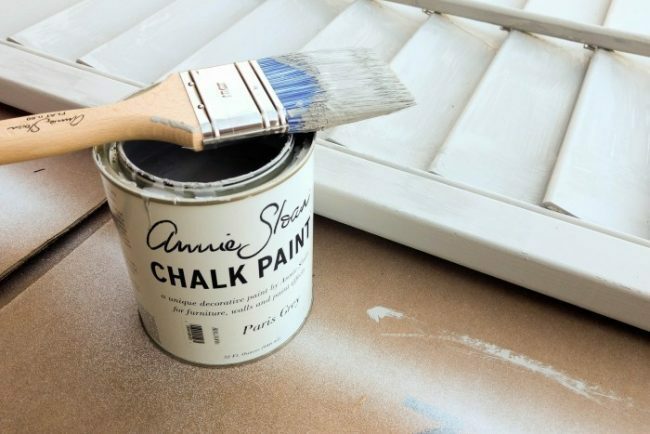 If you’re ready to tackle a DIY project, you need to check out Chalk Paint by Annie Sloan. This decorative paint is like any other! It needs no priming, sanding, or any other prep! The Chalk Paint can go on top of anything – old or new wood, metal, plastic, cement, bricks, you name it. It dries so quickly that you can paint, wax, and have it back in your home before the end of the day. 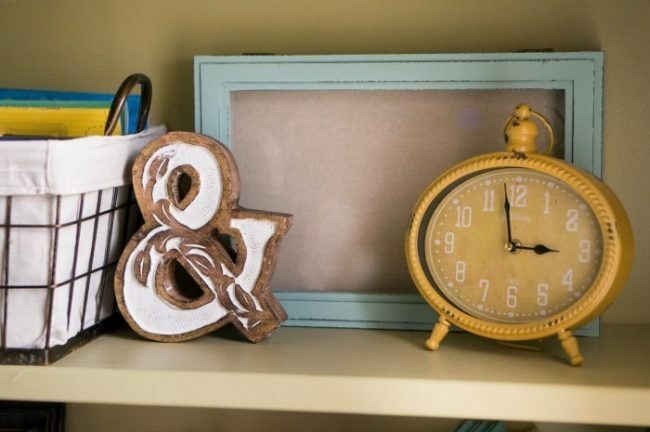 Then, just finish off you project with a Clear Chalk Paint Wax or transform the look with a Annie Sloan Gilding Wax to add a metallic touch to your products. Visit www.anniesloan.com to find a stockist near you. Sprucing up your space can be affordable with T.J.Maxx! They have fresh styles in all the in colors for every space in your home. We’ve been updating our built-in-bookshelf and found lots of great picks to decorate the shelf at T.J.Maxx. I loved these wire lined baskets for storing things out of site and adding pops of color like this yellow antique styled clock and shadowbox to easily personalize our space. Visit your local T.J.Maxx or Marshalls to update your space on a budget. A smart thermostat can make a big difference in your energy consumption – and electric bill. Switch out your older thermostat for a Nest Learning Thermostat that you can control on-the-go. 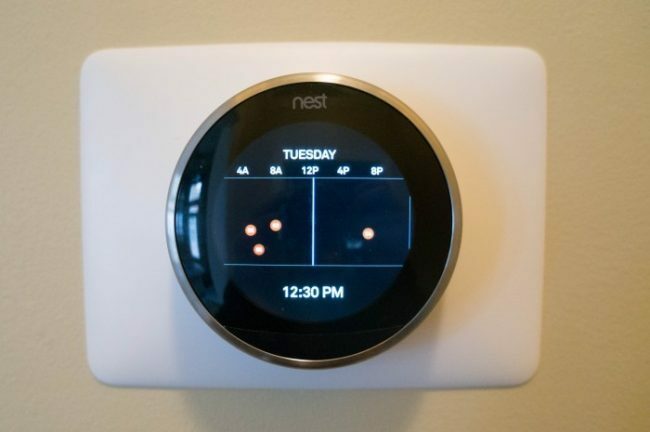 Set up your personalized schedule that can change as many times as you might need adjustments to your heat settings, or let Nest take over and learn your preferences in about a week as you adjust your heating settings to meet your family’s needs. Nest can turn off your thermostat when it senses that nobody is home to safe you even more energy. Or, use the app to switch off your thermostat or start up the heater from snuggled up under the warm covers. Wherever you need it, Nest is there to keep you comfortable and in control. Learn more at nest.com. Simplify your effort towards a bright, well lit home with the help of Lutron’s Maestro Occupancy/Vacancy sensors. These smart switches are simple to switch out in place of your current light switches. Then, adjust the settings to allow the lights to auto turn on or both on and off. You can also adjust how long for the light to remain on without movement to meet the space. The Maestro Occupancy/Vacancy sensors can make such a difference in the garage, closets, laundry room, bathrooms, and other similar spaces. 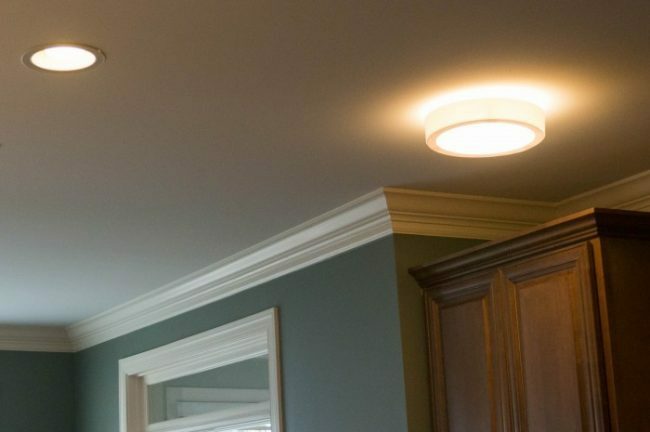 You’ll no longer stumble to flip on or off a switch, just walk in and the light will greet you and keep your family from accidentally leaving lights on when not needed. Visit lutron.com for more information. 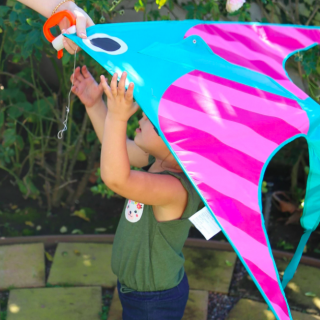 Did you know, “94 of the Top 100 watched shows are available Over-the-Air in stunning 1080 High Definition?” I was stunned when I heard about Mohu Leaf, a paper thin antenna that could attach anywhere that could connect my home to Over-the-Air channels to cut the cable cord and bill. 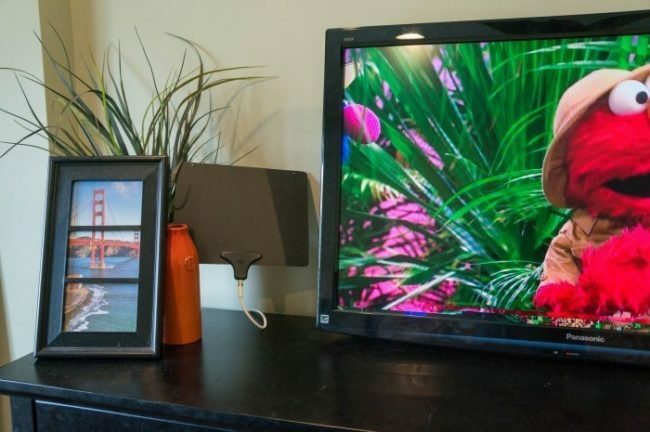 With a Leaf 50 Indoor Amplified HDTV Antenna you simply plug in this thin antenna to the back of your TV in the coaxial port and power it with a convenient USB port to power at the back of your TV or power through any standard AC wall outlet. Then, just find a good spot to hide your antenna, it can attach to any wall, bookcase, or other non-metallic surface. Then, just scan for Over-the-Air channels using your TV’s setup menu for a whole new way to watch TV without the expense. Check out gomohu.com to find the right antenna for your area. 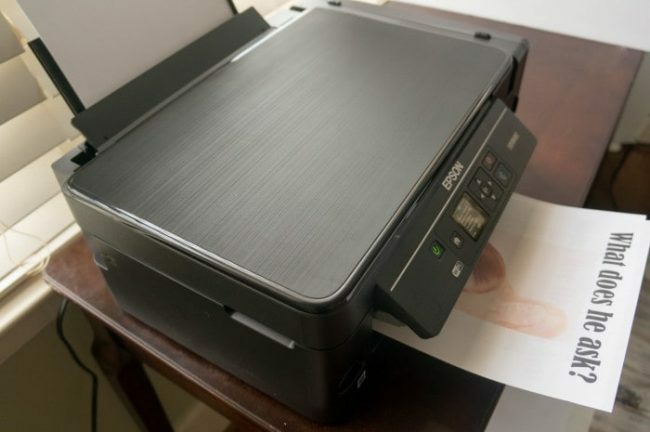 Sick of expensive ink cartridges? Epson is revolutionizing the home printer industry with their cartridge-free printing! Their new Expression ET-2650 Printer has supersized ink tanks that are easy to fill from home and can hold enough ink for up to 2 years of printing in the box! That’s enough to print 4,000 pages black and 6,500 page color – the equivalent of 20 ink cartridge sets! The ET-2650 printer includes all the other built-in features you are used to like a simple setup and color LCD control panel, one-touch copying, wireless printing from your tablets and devices, and so much more. Learn more about cartridge-free printing at www.epsonstore.com. Take a whole new approach to how you work with the innovation of Edge Desk. The desk comes fully assembled, just easily transform it from stow to ready-to-use, and then store it away again when not needed. The Edge Desk is designed off the idea of a kneeling chair with an attached work surface that changed based on your work needs. Breaking the mold from a traditional desk can help you improve your posture and comfort and let you focus on your work in front of you to increase your productivity. Adjust the height, angle, and title to fit your body size and work preferences. Visit www.theedgedesk.com to learn more. Paper towels are so helpful to keep on hand, but a roll on the counter doesn’t look great. 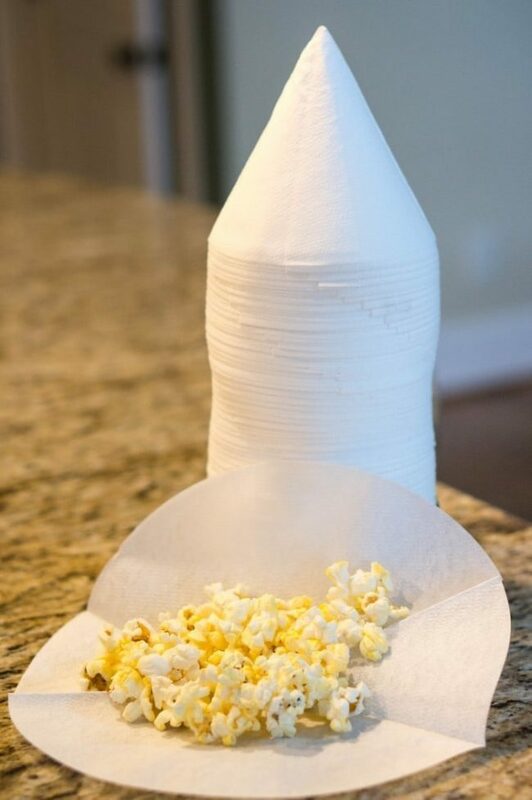 Ora Paper Towels has created a paper towel tower that makes it easily to grab a towel with just one hand. 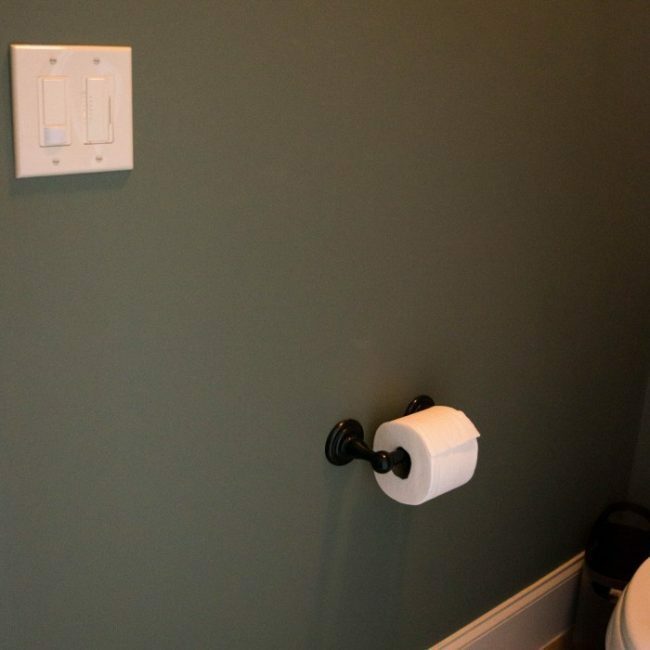 There is no more tearing off the roll or waste, just grab a paper towel and get ready to clean. One Ora Paper Towel stick has twice the number of sheets than a conventional kitchen roll. Their innovative round design fits perfectly to your hand, making it easier to use. The round shape is also perfect for topping dishes in the microwave or handing out a scoop full of snacks or starting on a kids art project. 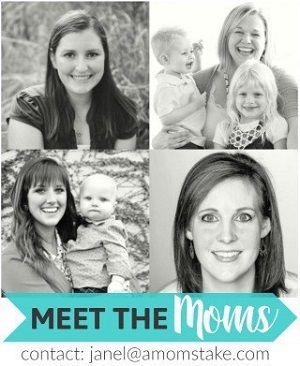 Find more about them at www.ora-home-usa.com. Get rid of the overhead glare from can light in about 30 seconds. Softlites create a softer, diffused light with a simple flush-mounted fixture that pushes the light out the sides, rather than the straight beam that goes right into your eyes. You’ll still enjoy a bright, well-lit space, but without the overhead glare with your light redirected through a diffused fixture that makes your canned light that looks like an expensive light fixture with just a simple switch. Softlites have a polar white, parchment, or linen covering with choice of white or black trim plate. Head over to softlitesllc.com for more information and see the style choices. A welcoming scent in your home makes it so much more inviting and relaxing for your family and guests. 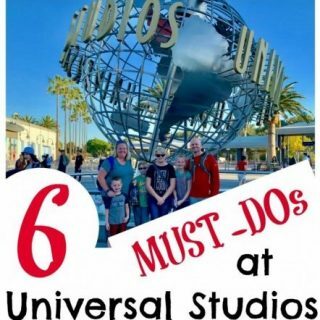 Our family loves to burn candles throughout the day: a lavender candle close to bedtime, a citrus candle when I’m trying to energize everyone (usually getting ready for school or cleaning), and a vanilla candle when we’re entertaining. Pop Candle Co. makes unique candles that are never an eyesore and have the most fantastic scents! Current scents include: Citrus, Green Apple, Vanilla, Butterscotch and Lavender. Their candles are 100% natural soy wax with just a “POP” of color. Mine have become a part of my permanent décor, which I love. Absolute favorite scent is their Citrus Candle, but Vanilla takes a close second! These unique and fun candles from Pop Candle Co. are my new favorites!! Adding little pops of color to your bathroom can brighten and update your bathroom in minutes. 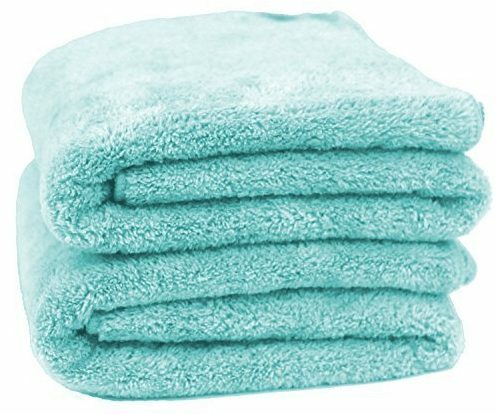 If you’re looking for soft, thick, luxurious, and salon grade bath towels, then you’ve got to check out Mojaworks MojaFiber Luxury Bath Towels. Something that really sets Mojaworks Luxury Bath Towels apart is their ability to rapidly dry, inhibiting mold and mildew growth. Mojaworks also provides a wide variety of other chemical-free products to help keep your body and home safe and clean. A few Mojaworks products I’d highly recommend checking out include their Dust Mitts, Mop Kit, Microfiber Face Cloths, and Copper Peptide Anti-Aging & Wrinkle Night Face Cream. Be sure to visit Mojaworks and try out these awesome home and beauty products for yourself! What’s your favorite easy home update idea from above? Lots of nifty little ideas and unusual things too. I like the paper towels and the rope baskets. I also like the art. I need to update mine, it has been the same forever it seems. 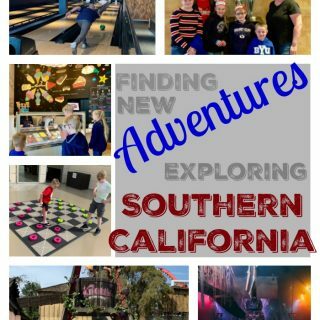 Oh what fun ideas! I really love those Ora Paper Towels! I have to check into those! I would love to switch to a Smart Thermostat! Good ideas. I love Minted. I like the new thermostat. These are great ideas. I really like the bear! I love the smart home ideas, but expensive?? Expression ET-2650 Printer! Oh the things I could print! We carefully chose art for our home to give it our own unique touch. It doesn’t look like something out of a catalog, but it’s still modern and fun, and has some personality. Art is expensive, but investing in a few good pieces makes such a world of difference in how our space looks – especially the living room ! I love the mosiac bear! I love your decor in your home!! I’m always looking for ideas to spruce up the house. Your ideas are great. I am looking into getting a Nest thermostat. Thanks for the link and information. these are great ideas. I love the idea of the Ora Paper Towels. I have not seen them before. I think I can use them. I need this TarDisk. It seems completely perfect for my requirement. My Laptop is almost out of space. Wow amazing article and it couldn’t of arrived at a more perfect time, all of these are useful items I could use around the house or office. My wife and I definitely love trying new candles, and I know for one my macbook air’s storage is always filling up. Neat stuff Janel, can’t wait for the next piece! Surprise to see that just a few tweaks here and there could make a lot of change! Most of the stuff are also useful, other stuff are cute and would bright up the house. Love it.